This is an awesome sofa. Read many reviews that said the back was too straight and you couldnt lay down-this is not true! I take naps on my outdoor sofa daily! Its very comfortable, and the cushions are not too thin. It is very beautiful and makes my outdoor area look amazing! 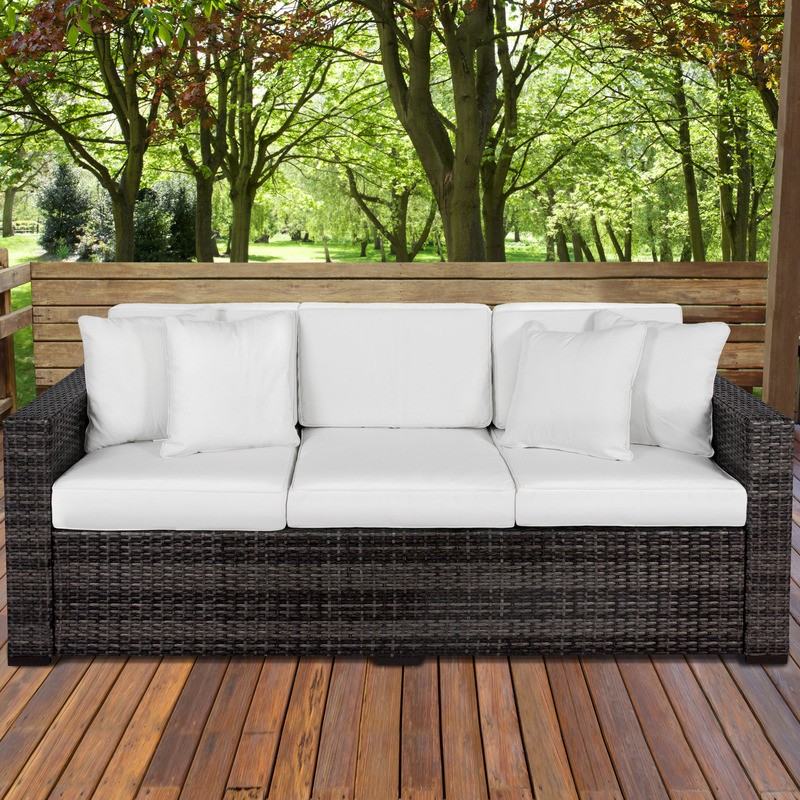 Home territory searches the web to find the best prices and availability on Wicker and related products foir your home like BCP 3-Seat Outdoor Wicker Patio Furniture Sofa Couch w Steel Frame. For this page, related items include products we find that match the following keywords: "Wicker" at our vendor partner Walmart - Click More Info / Buy Now to check for price rollbacks!. BCP 3-Seat Outdoor Wicker Patio Furniture Sofa Couch w Steel Frame is one of 91 Wicker and related products available for sale through HomeTerritory.com, If you have any questions on this product, please give us a call at 734-971-1210 during the hours of 9am - 5pm EST for assistance. Thank you for shopping at Home Territory, the home furnishings superstore!